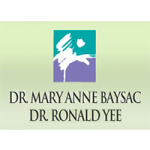 San Francisco Dental Care, Mary Anne Baysac, DDS, Ronald Yee, DDS is one of the most well-known dental clinics/dentist in Richmond, San Francisco that offers emergency services 24 hours/day, 7 days/week. We are listing the full contact details (address, phone number, e-mail) for the emergency dentist San Francisco Dental Care, Mary Anne Baysac, DDS, Ronald Yee, DDS in the city of San Francisco. Schedule an appointment with San Francisco Dental Care, Mary Anne Baysac, DDS, Ronald Yee, DDS and get your teeth fixed right away! The dentist’s zip code is 94118. Find the fastest way to San Francisco Dental Care, Mary Anne Baysac, DDS, Ronald Yee, DDS by using this link.